Which cities have the best street art? Street art is a beautiful act of vandalism which has grown to become a spectacular art form – with the possibility of being sighted by thousands of people each day. Artists who choose the streets as their gallery are communicating directly with the public at large, free from the constraints of the formal art world. Here are five of the best cities for street art around the world that use the streets as a canvas. It is rumored that the city of New York is the original birthplace of graffiti. In the late 1960s, graffiti artists began roaming the streets and tagging everything in sight. Since then the art form has evolved to consist of more elaborate murals and clever works which can be spotted around New York City today. New York is an attractive playground for graffiti artists from around the world due to its urban street culture and abundance of “blank canvases”. 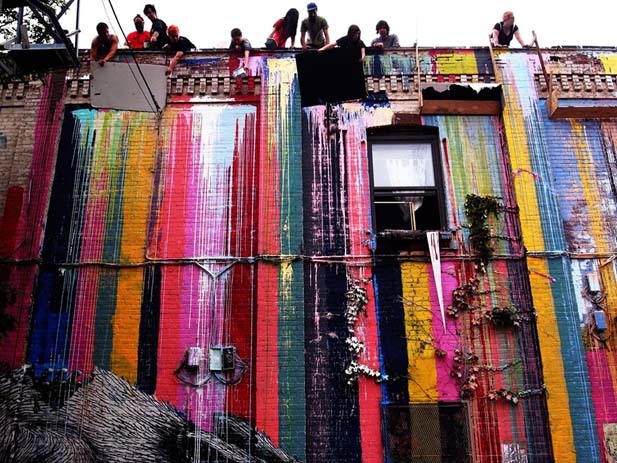 Explore the street art of New York by joining a walking tour. One of which, is The Street Art Walk, offering tours in Bushwick and Williamsburg. The tour includes seeing different kinds of street art by various artists, and learning the stories behind some of the works. Philadelphia boasts a creative spirit that’s easy to find on its “Mural Mile” which emerged through Philadelphia’s Mural Arts Program. It began as part of a government-funded anti-graffiti movement because people were tired of the artless tags that plagued the city. 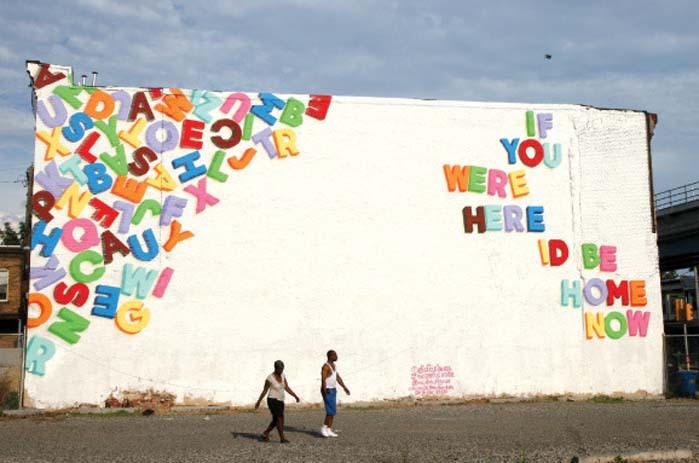 Philadelphia officials approached graffiti artists and had them direct their artistic talents into full size murals. Today, there are more than 3,600 of these impressive street artworks splashed around the city. The Mural Mile contains 17 of the city’s most iconic murals, which are viewable by a walking route through downtown Philadelphia’s commercial districts and residential streets. Visitors can download the free podcast of the Mural Mile which leads them on a self-guided tour, listening to the stories behind the murals. 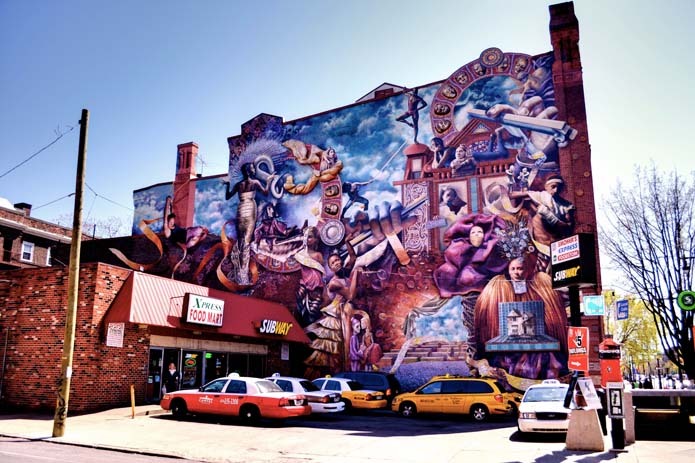 Guided tours are run by the Philadelphia Mural Arts Programme, located at 1729 Mt Vernon St, Philadelphia, United States, and costs $17 USD per person. Visit http://muralarts.org/tour/mural-mile-walking-tour to find out more. Melbourne has become one of the prime locations around the world for street art, with dozens of acclaimed artists having left their mark on the city. Walk around the streets and stumble upon hidden alleyways decorated with vibrant works of art. Hosier Lane and Caledonian Lane are iconic spots, and in 2010 the local council commissioned a number of artists to paint the walls of Union Lane. St Kilda is another prime spot for discovering colourful works, with a trendy street culture to match. 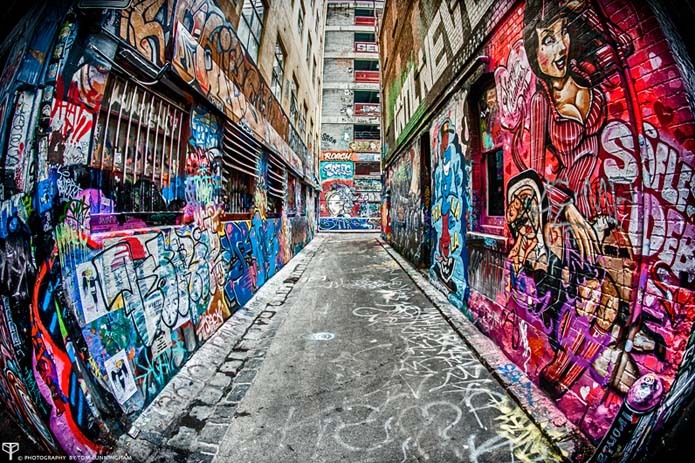 Melbourne is the capital of Victoria and the second largest city in Australia, and has gained international notoriety for its diverse range of street art and associated subcultures. Throughout the 1970s and 1980s, much of the city’s disaffected youth were influenced by the graffiti of New York, which became popular in Melbourne’s inner suburbs, and along suburban railway and tram lines. Street art in Melbourne hasn’t always been as widely accepted as it is now, however, In 2007 the City of Melbourne started the “Do art, not tags” initiative—an education presentation aimed at teaching primary school students the differences between graffiti and street art, with hope to maintain the artistic aspect of graffiti, rather than vandalism. London has incubated its fair share of street artists over the years. While many works have been removed and repainted, many pieces stand untouched throughout the city, including some famous pieces by street artist Banksy. The popularity of street art in England’s capital has led the city’s government to commission various pieces, leading the art form to become part of the city’s attraction. Galleries and businesses in Shoreditch have seen the benefits to be gained from showing and commissioning art on the outside of their buildings. This mass of legal street art, has helped cement Shoreditch’s place as the spiritual home of street art in London, and has attracted artists from all around the world. Some of the street art in Shoreditch is posted by artists who are not based in London. The more informal works have been encouraged by the fact that Shoreditch is dowdy, and despite the wealth, activity and creativity, provides a smorgasbord of abandoned buildings, railway lines and wasteland car parks, upon which artists feel more than happy to mount their work. Needless to say, there is art splashed about the streets wherever you go. Only two hours from the Chilean capital of Santiago, Valparaíso spreads across a series of hillsides overlooking the sea. Where Santiago is all about business and government, Valparaíso is more laid-back. Chilean artists, writers and musicians have long made the city their home, drawn to its picturesque location, artistic vibe and slightly crumbling feel. Great list although some of these images don’t represent the best of each city. I went to college in Philly and lived in NYC (currently in Melbourne) and there are some truly amazing examples of street art. Worth spending a day walking around. Love that alley in Melbourne.